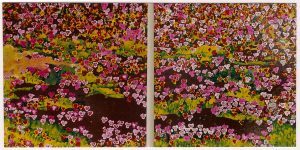 Pansies, Pensées, Stiefmütterchen, Bratki, 1996, oil and enamel on canvas, 2 parts,150 x 150cm. 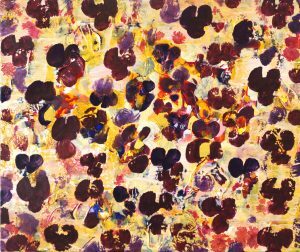 “It is common knowledge that the artist is both something of a scientist and of a ‘bricoleur’. By his craftsmanship he constructs a material object which is also an object of knowledge. We have already distinguished the scientist and the ‘bricoleur’ by the inverse functions they assign to events and structures as ends and means, the scientist creating events (changing the world) by means of structures and the ‘bricoleur’ creating structures by means of events. This is imprecise in this crude form but our analysis makes it possible for us to refine it. Let us now look at this portrait of a woman by Clouet and consider the reason for the very profound aesthetic emotion which is, apparently inexplicably, aroused by the highly realistic, thread by thread, reproduction of a lace collar. Claude Lévi-Strauss, The Savage Mind (La Pensée Sauvage), London, Weidenfeld and Nicolson, 1966 , pp. 22-23. The pansy is a European flower that reached Japan two or three centuries ago, during the Edo period. In Japanese, it is called in several ways, such as Sansiki Sumire, and more rarely Kocho Sumire (purple butterfly). In Europe, it has very different meanings in different languages. For example, it means thought in French, perfect love in Portuguese, brothers in Polish and cruel mothers in German. The English word pansy is slang to indicate effeminate homosexuals. Each meaning was translated into these five European languages and Japanese. 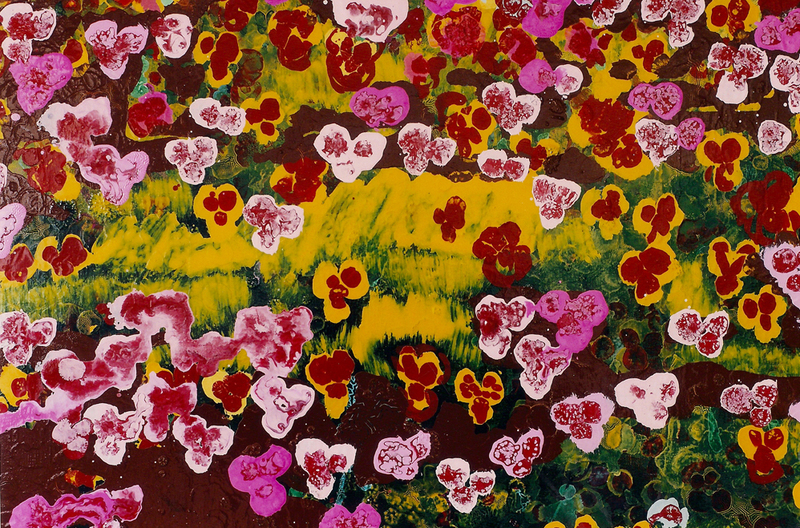 Pansies, Pensées, Stiefmütterchen, Bratki, 1996, detail.